In this day and age, life has become something of a mad rush to keep up with everything and everyone and make the most out of the measly 24 hours in a day. This has led to a generation that can’t seem to stop and stare but luckily, the advances in mobile technology have gifted us with so many options that we’ll never be left twiddling our thumbs. Sure, browsing through your social media accounts is always a possibility but let’s face it, all that cyberstalking tends to get a bit much at times, plus these apps are more likely to drain your phone battery quicker. If you’re the type to get bored waiting in queues or on your daily commute, then why not take advantage of your smartphone’s vast potential and install some boredom-banishing apps to help you while away the time? Here are just a few of the top trending apps at the moment and one thing they all have in common is that they’ll keep you happily occupied for anywhere from a few minutes to several hours. Best of all, they’re cyberstalking free to download for both Apple and Android devices! 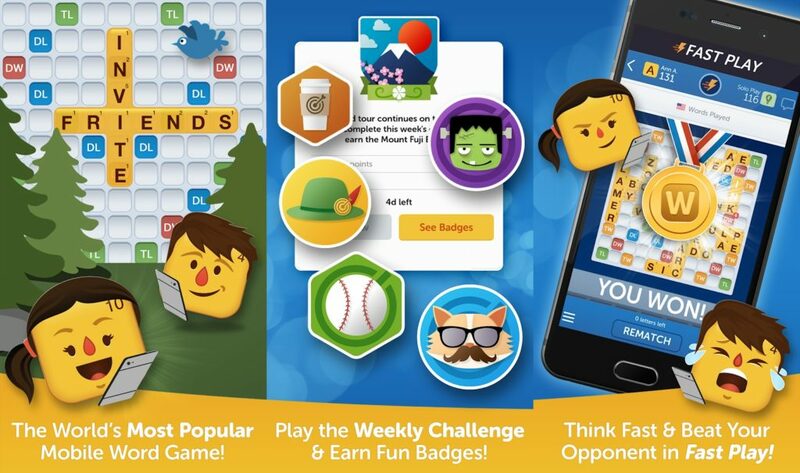 This Scrabble-based word game allows you to go head to head against your friends or random strangers while you sharpen your vocabulary by creating words with sets of letters. There’s even a solo play feature if you prefer to do some training on your own before facing the competition. 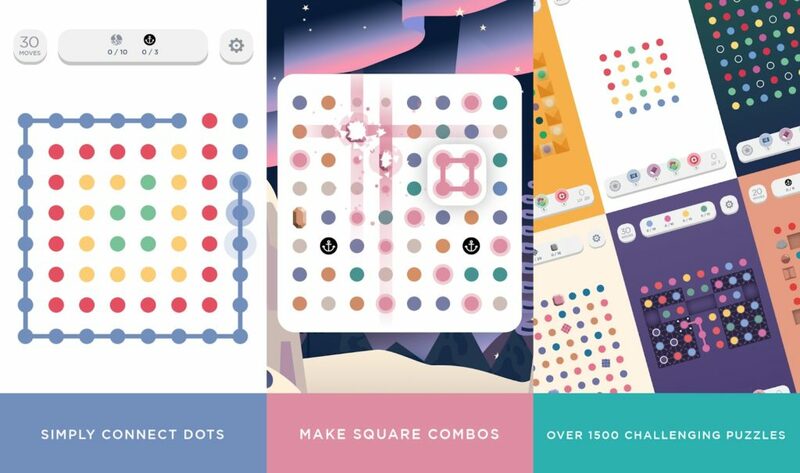 Give your brain some exercise with this math-oriented game that’s surprisingly addictive. Using elementary math skills, you’ll have to swipe tiles until you reach the number 2048 without being eliminated from the game. It is really addictive and takes you back to those old school days. Brain teasers like this and the ones mentioned above are all the rage right now and according to research, are also the most popular gaming sub-genre known to engage players and keep us coming back for more. Trivia fans will definitely enjoy QuizUp, with its gameshow-like approach which allows you to take multiple quizzes, compete against other players and increases your vat of general knowledge too. Choose from over 100 topics, from history and economics to popular culture. This is THE app for you if you’re the kind of person who loves discovering new content, serving up everything from entertaining articles to memes, videos and more from all corners of the world. Simply select the topics you’re interested in and the app will take care of the rest. Feeding your mind while you kill time has never been easier. There’s no denying that there’s something highly therapeutic about colorful fruit and jewel matching games such as this one. Similar to the ever-popular Candy Crush Saga, the newly launched Jammin’ Jars was designed to help your brain unwind. Mesmerizing colors and the chance to win some real cash too? Sign us up! 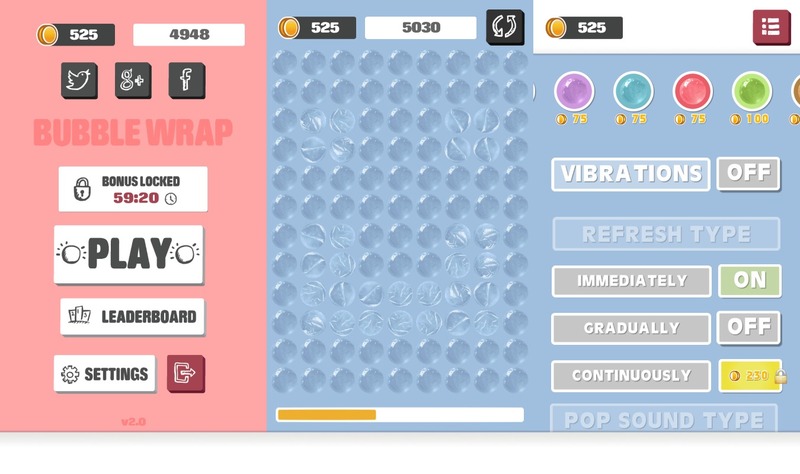 Ok, so we have to admit, it’s not the most useful of apps, but for those of you who happen to harbor that all too common obsession with popping bubble wrap, this one is for you. Once you getting popping, you won’t want to stop. A stress-reliever for sure. Use this app while you’re taking care of your business and you’ll never be bored on the porcelain throne again! Featuring a range of toilet-themed mini-games that can be played in just a few minutes, its mindless entertainment at its best. 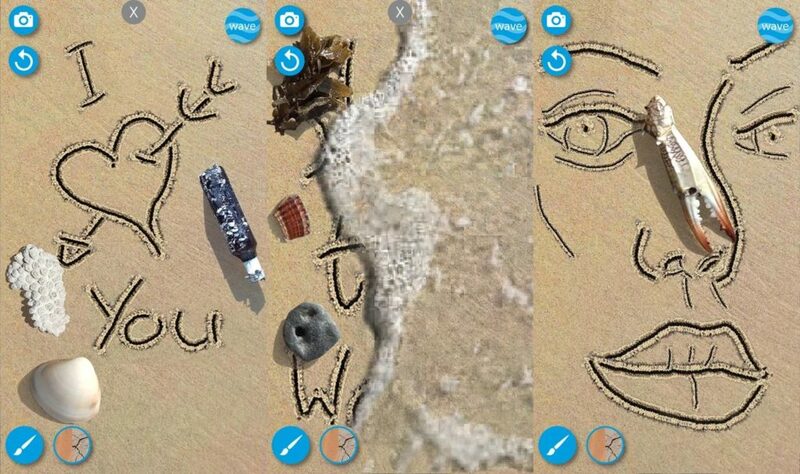 Get creative by using virtual sand as your canvas in this fun sketching game. You may not be able to make the trip to the beach but at least you’ll still get to draw in the sand. Nope, that wasn’t a typo. Unlike the infamous dating app with a near-identical name, Tender allows foodies from all over the world to gather, interact and swap recipes for some true gastronomical pleasure. Who needs Tinder when you can have Tender? 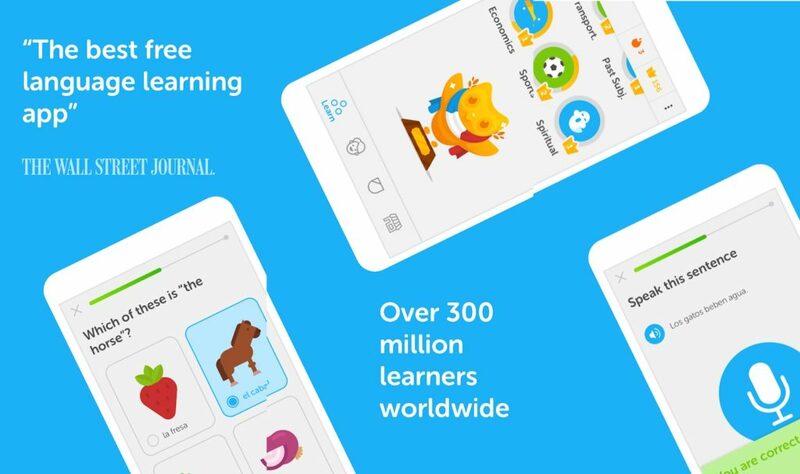 This app is a great tool for those who are interested in learning new languages. The benefits of language learning are multiple, so it’s worth making the most of your spare time, even if it’s just 20 minutes riding the subway. Choose from Spanish, French, German, English and 20 more languages to learn with detailed lessons and daily exercises to help you practice your new skills. A long-term boredom solution, right? This is one app for the appearance-conscious amongst us. 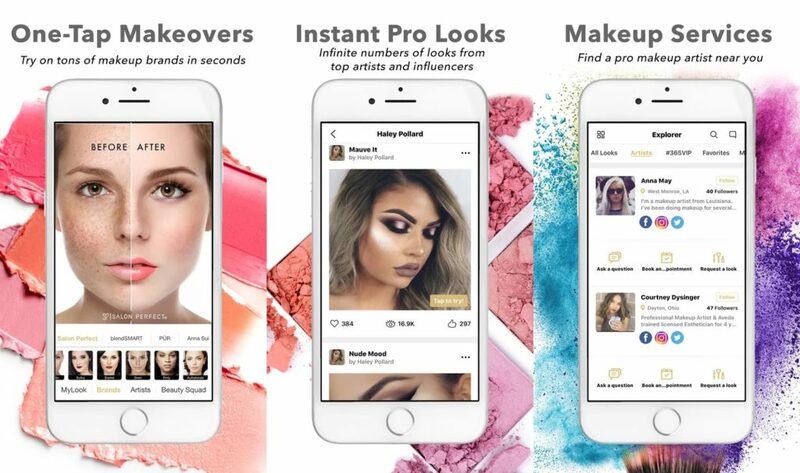 Simply upload a photo of your face, and you’ll get to try out dozens of haircuts and makeup looks without having to waste endless hours at the hairdresser or beauty salon. Get as many wild virtual makeovers as you like and then try out your best look in real life, if you’re brave enough to take the plunge! 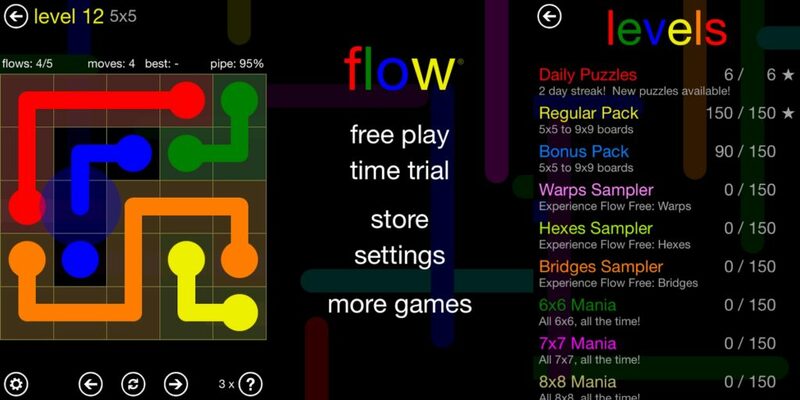 Flow Free is an addictive game for killing your time. It requires you to connect matching colors with pipes to create a flow and cover the board, once you do that, you are welcomed to the next level, but it is not easy to do as it seems to due to the fact that Pipes break if they cross or overlap. Are you an origami lover? Papaerama is a simple yet addictive game which requires you to solve puzzles based on paper folding techniques using limited steps and time. With over 70 puzzles to solve and 3D animations, this app will surely not leave you that easily, making it a good app indeed to kill boredom. Have no friends to chat with? How about chatting with random people just like you trying to kill their time over the internet? Using AnonyChat, you can talk to anonymous strangers and even send them photos and more. It also comes with appropriate matchmaking based on language and interests so that you get to converse with like-minded people. Memes are a great way to laugh and stay entertained, but what if you can create them yourself? 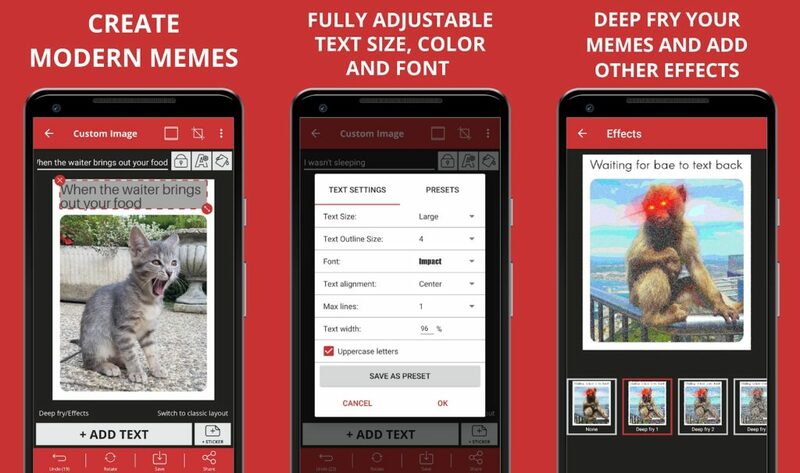 Unleash your creativity with this Meme generator app, create different memes and quotes using different fonts and images and you are good to go for sharing with your friends and fam. Duet is a very complex and brain-eating game. It requires the payers to control two spheres rotating in the same orbit and bend the blocks that fall on them. You need to control the same in two vessels on screen, that too in sync, without loosing on calmness. Trust me, you need to be so calm and focussed to win this extraordinary game. Difficulties pace up after each level, in the end, remember to keep your eyes on blocks. The tower gameplay is all about building towers from a variety of blocks. Simply tap the screen to drop the blocks one on top of the other, go through different atmospheres, reach the space and continue to the build the tallest tower possible. Place the blocks carefully, use your minds and physics, and create your own space records, that too with lots of fun. 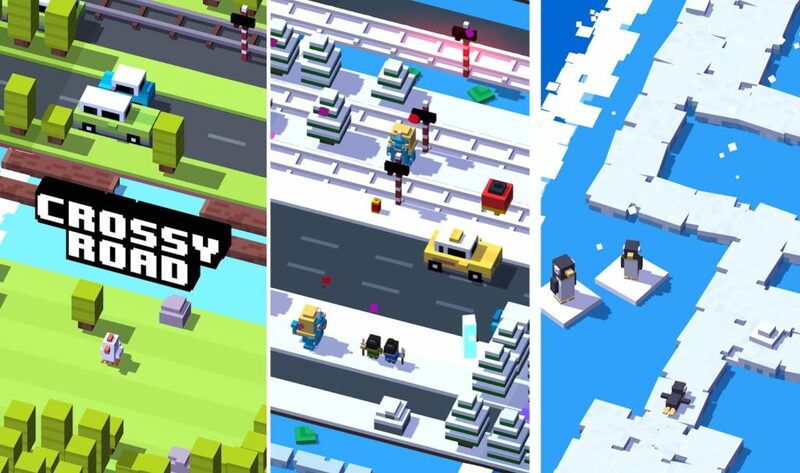 Crossy Road involves you to choose the right time to cross the road with moving cars, the railway bridge or to cross the deep and stormy river with a lot of obstacle on your way, also keeping in mind the speed led by animals throughout the gameplay. The main motif is to make the animal character cross the busy road without collapsing. There are 50+ characters performed in the style of retro and pop art in various scenarios like river, barriers, and crossovers adding towards a non-stop fun. This is basically a simple color matching game that requires you creating squares by doing the same. This adventurous and full of levels puzzle game does give pleasing haptic vibrations after each square is made. If you want a puzzle game that keeps your brain and eyes involved for hours and hours without getting bored, then this is the way to go. Feedly is basically an all in one feed for reading what you love to. 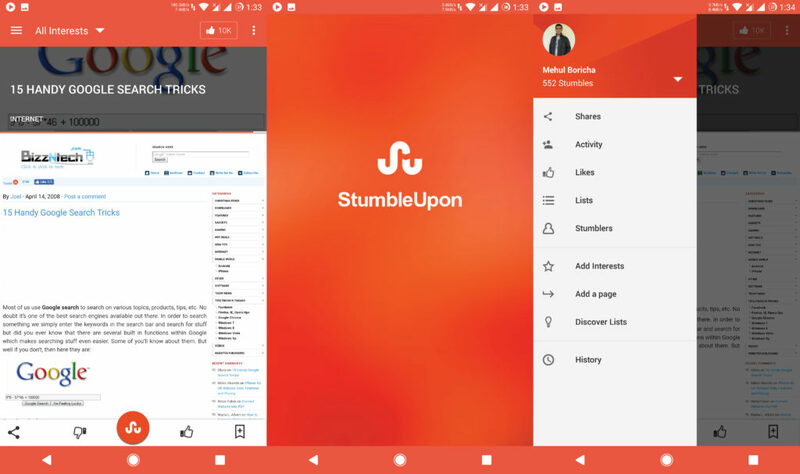 You can add your favorite sites within the app in different categories and sections, this will allow you to browse through all the recent updates from your preferred sites. 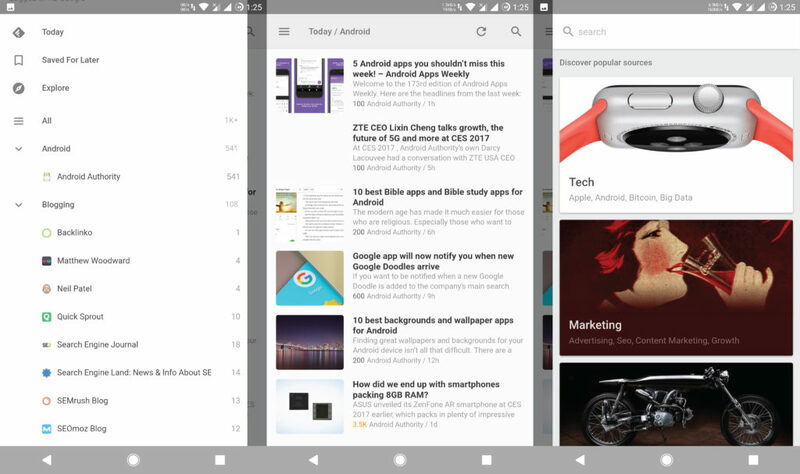 Feedly also offers support for a widget on home screen meaning you can read all the updates right from your home screen without even opening the app. 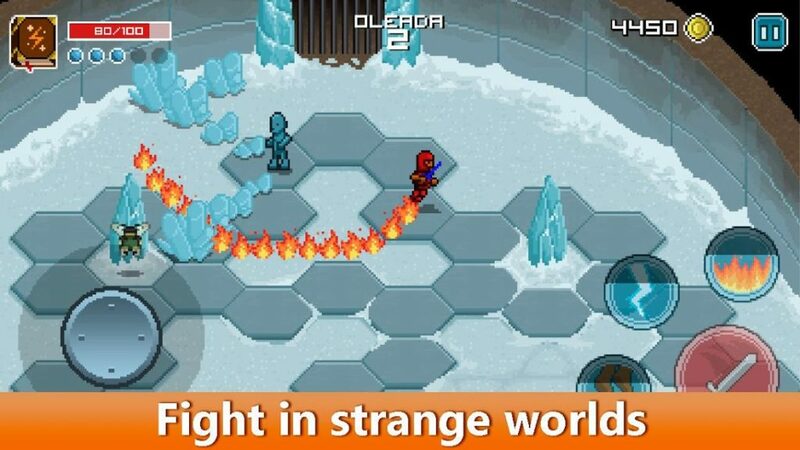 As the name suggests, Galactic Warrior is a fast-paced and arena styled action game where you need to defeat the waves of enemies using your skills for gaining access to gold, armors and reach the glory, all packed in two different modes- a free of limits infinity mode and a fully fledged story mode. This game can be won by stopping the clock at right time, which is way too difficult than what you think. There are a total of 7 challenges, complete each one of them in the least possible tries to complete your emoji gallery. This new game is definitely worth trying. So that was all about the best apps that can help you kill some free time. If you have any other apps in mind then do let us know using the comment section below!